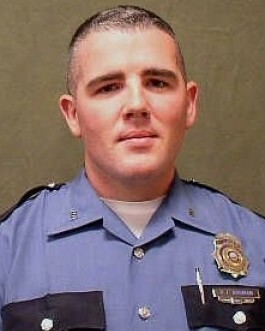 On June 30th, 2011, the subject who struck Officer Durman was convicted of second-degree manslaughter and numerous other charges in connection with Officer Durman's death. He was subsequently sentenced to 20 years in prison. Officer Durman was a U.S. Air Force veteran and had served with the Lexington-Fayette Urban County Police Department for 2-1/2 years. He is survived by his wife and son. Two years ago, I sent a No Parole letter. I will do so again. Although I must confess that I am very annoyed and disappointed by the fact that the offender has been allowed to apply for parole before he has served at least half of his sentence. I believe that this parole hearing should have been his first instead of being his third or fourth. It does not make sense to me that Kentucky would sentence a criminal and then not have the stomach to make him serve his full sentence. 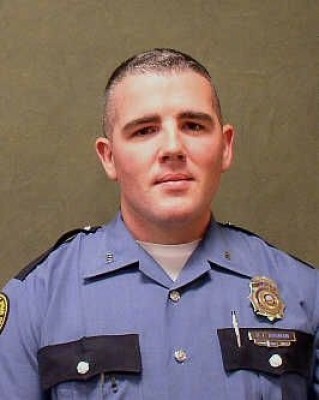 To Officer Bryan Durman, thank you so much for your service in our military and law enforcement. I hope you know that is forever appreciated.